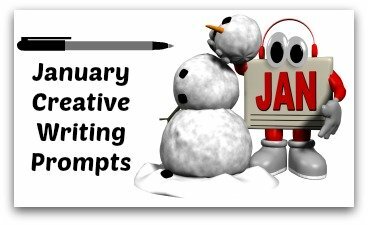 Chart Your Students' Progress This Winter! 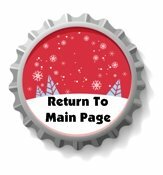 Welcome to my Winter and Christmas sticker charts page. 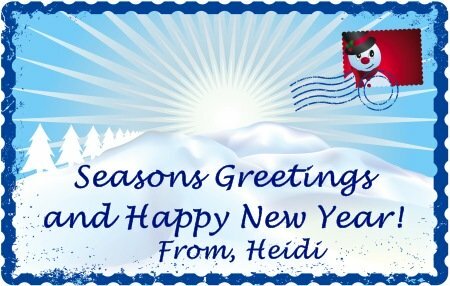 On this page, you will find a variety of uniquely shaped sticker charts with winter and Christmas themes. 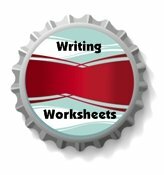 4 sticker charts that are found on this page. 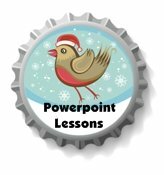 for free in this set of teaching resources. 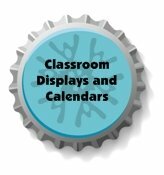 This bulletin board display is from Lisa's classroom. She teaches Grade 4 in Connecticut. 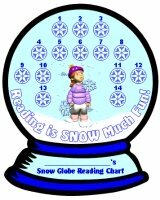 Reading is SNOW Much Fun is a sticker chart set that will help you to motivate your students to read this winter. 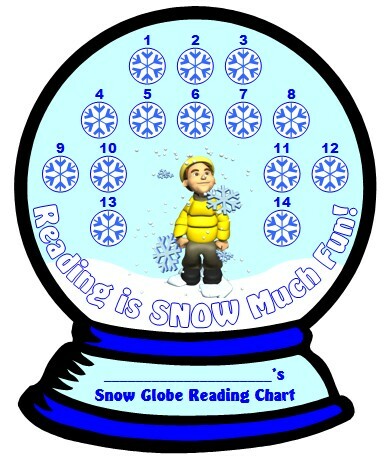 Cut out your students' sticker chart templates along the thick black border and you will have unique snow globe shaped sticker charts to record the number of books that your students have read during December and January. There are separate templates to use for boys and girls. 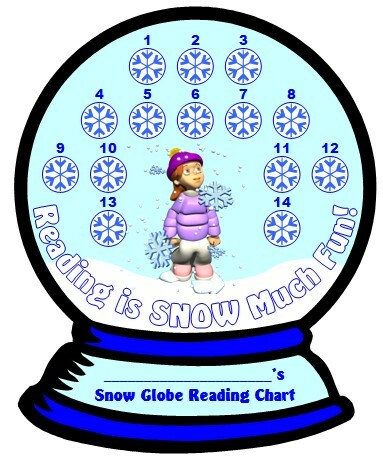 Students place stickers inside the 14 snowflake spaces on their templates after they have finished reading a book. 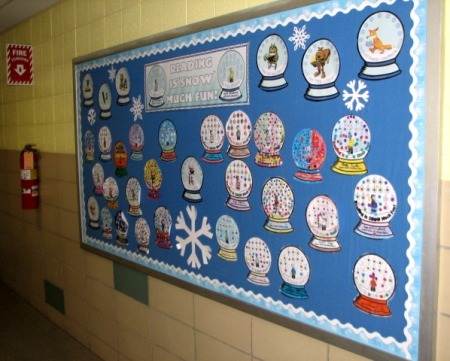 This set of teaching resources includes 8 colorful snowglobes to use as bulletin board accent pieces to help you create your eye-catching winter bulletin board display. 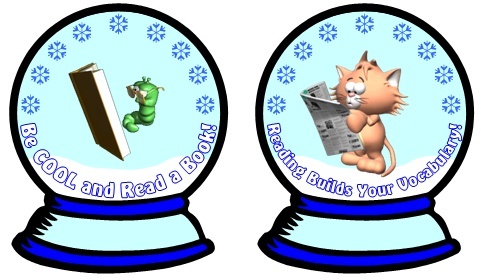 Owl: Be a Wise Owl and Read a Book! 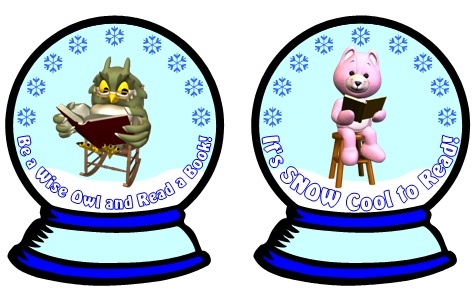 Bear: It's SNOW Cool to Read! Squirrel: Chill Out With a Good Book! 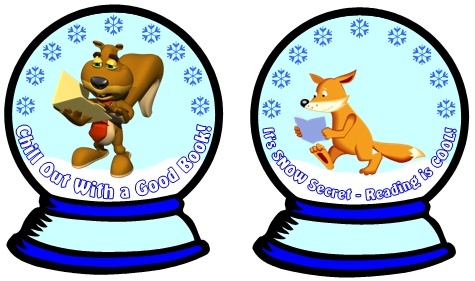 Fox: It's SNOW Secret - Reading is COOL! Worm: Be COOL and Read a Book! Cat: Reading Builds Your Vocabulary! Dog: Reading Books is a Pile of Fun! 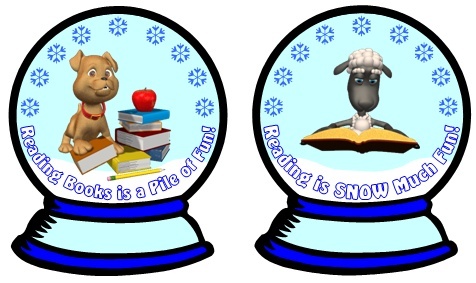 Sheep: Reading Books is SNOW Much Fun! 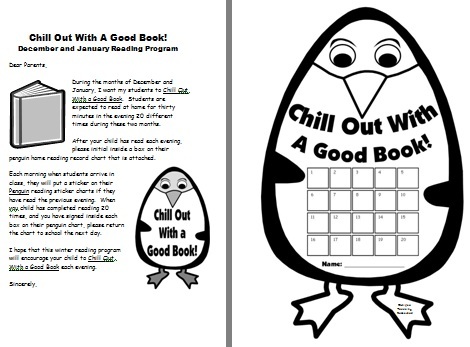 Below is a letter that you can send home to parents that explains this home reading program, along with the reading record worksheet for parents to sign each time their child reads at home. This parent letter is in the form of a Microsoft Word Document so that you can edit it to your own word choice. 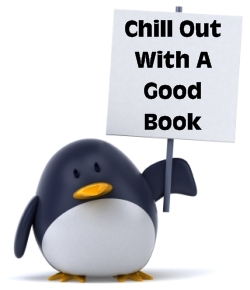 Chill Out With A Good Book! 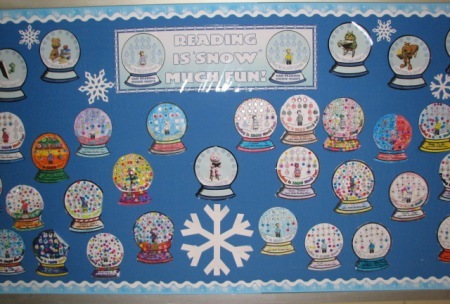 This bulletin board display is from Teresa's classroom. 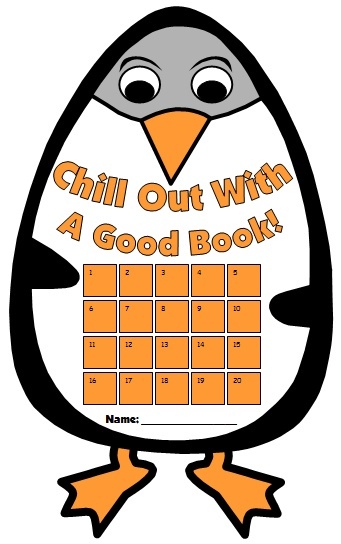 Chill Out With a Good Book is a sticker chart set that will help you to motivate your students to read 20 books. 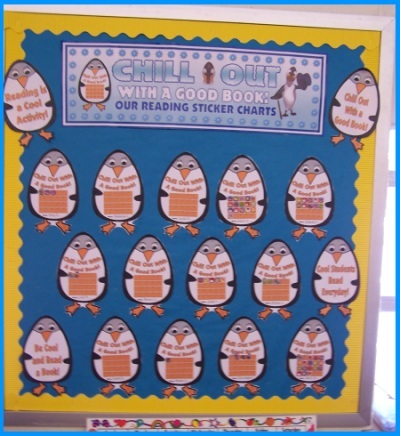 Although these penguin templates are ideal to use during the winter, this reading sticker chart can be used anytime of the school year. 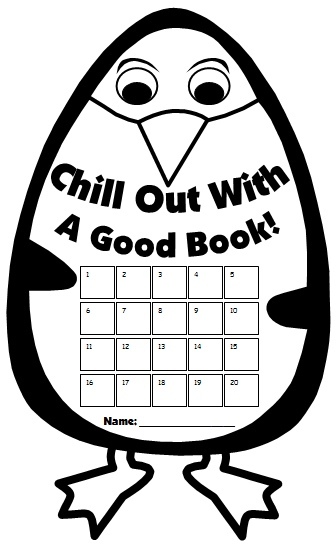 Cut out your students' sticker chart templates along the thick black border and you will have unique penguin shaped sticker charts to record the number of books that your students have read. 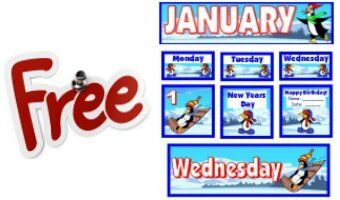 This set of teaching resources includes 6 penguins to use as bulletin board accent pieces to help you create your eye-catching winter bulletin board display. 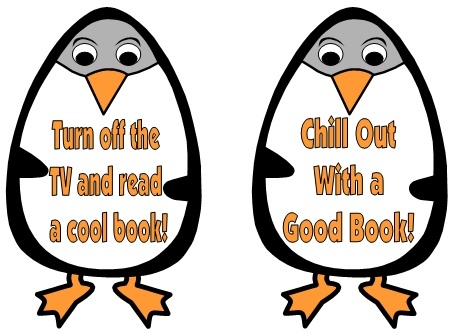 Be Cool and Read a Book! Cool Students Read Every Day! 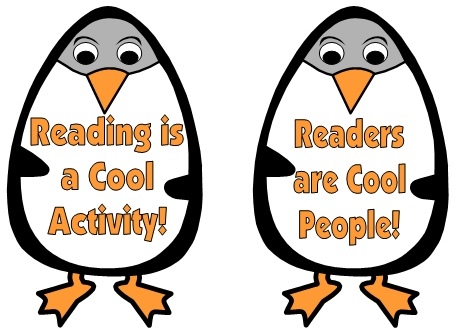 Reading is a Cool Activity! 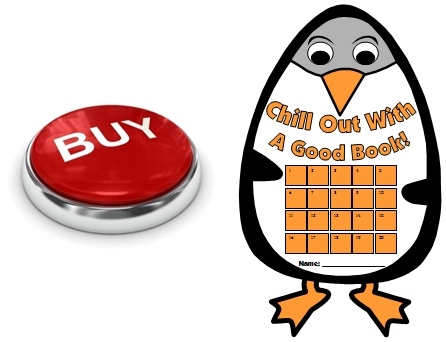 Chill Out With a Cool Book! 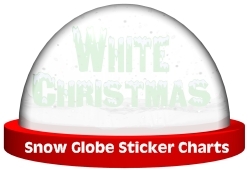 Stuff Your Stocking With Stickers! 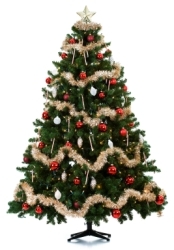 for free in this set of Christmas sticker charts. 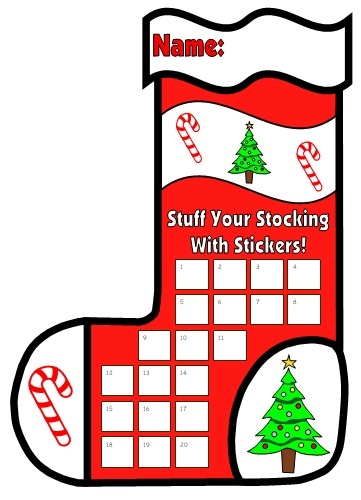 This Stuff Your Stocking With Stickers set includes a 5 page bulletin board display banner, a color stocking template, and a black and white stocking template. 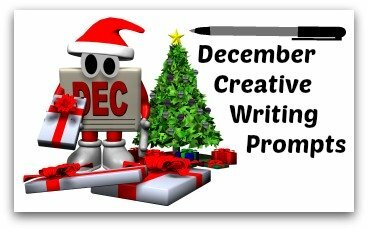 Encourage your students to work towards achieving a goal that you set for them this December by using these fun Christmas stocking sticker charts. 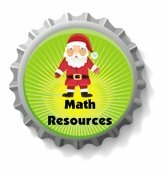 This Stuff Your Stocking With Stickers set of teaching resources includes a 5 page bulletin board display banner, a color stocking template, and a black and white stocking template. 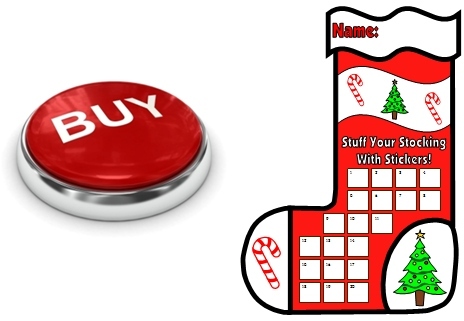 Cut out your students' sticker chart templates along the thick black border and you will have unique stocking shaped sticker charts to record your students' progress towards reaching a goal that you set for them this December. 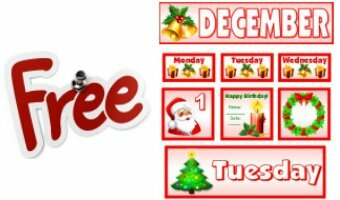 These Christmas sticker charts can be used for a variety of different purposes during the month of December: homework, reading, math, spelling, or good citizenship. 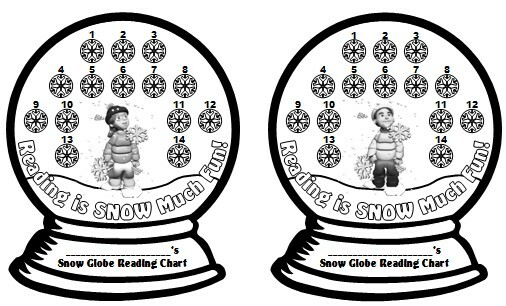 If you tie a string to the side of each stocking and create a mantle or fireplace background for your bulletin board display, these stocking sticker charts can be hung from mantle or fireplace as shown in the graphic on the right. 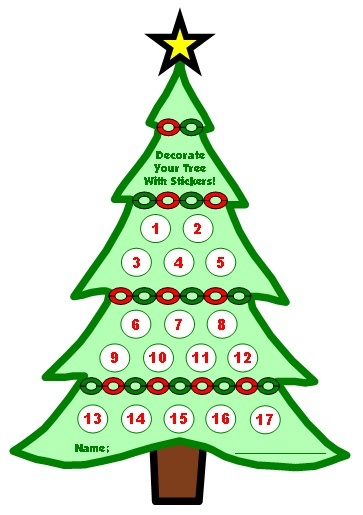 Decorate Your Tree With Stickers! 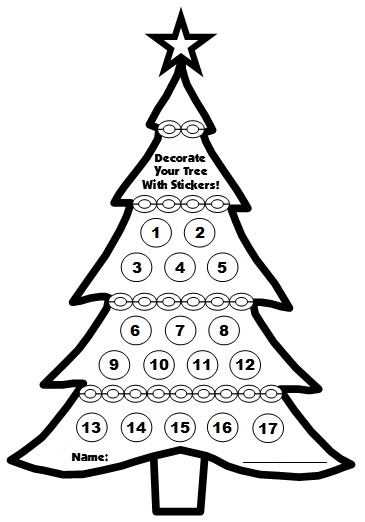 This Decorate Your Tree With Stickers set includes a 5 page bulletin board display banner, a color tree template, and a black and white tree template. 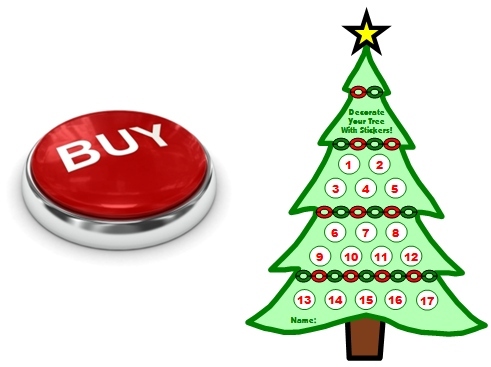 Encourage your students to work towards achieving a goal that you set for them this December by using these fun Christmas tree sticker charts. 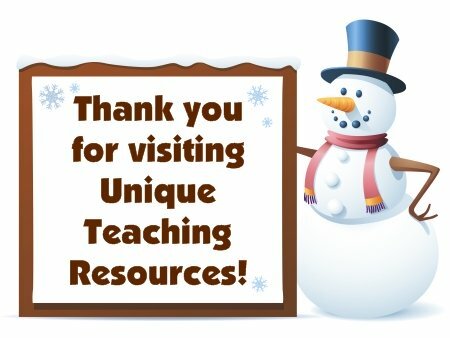 This Decorate Your Tree With Stickers set of teaching resources includes a 5 page bulletin board display banner, a color stocking template, and a black and white stocking template. 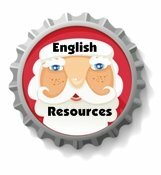 Thank you for visiting my Christmas Sticker Charts page.